Make this the summer you try all the things you've always wanted to try! contruct towering sand castles; master the art of knots. Hundreds of entries, glorious color photographs, and illustrations take you there and show you how. 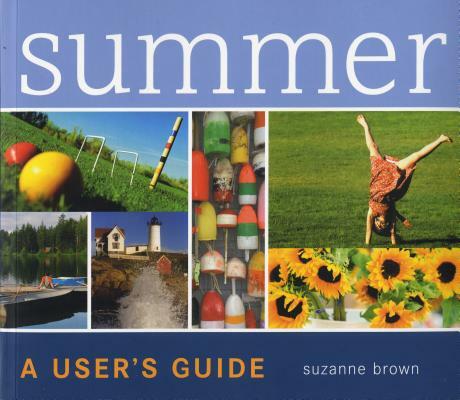 Whether you're in a cabin in the mountains, in a rental at the beach, at a weekend house in the country, or taking it easy in town or in your own backyard, Summer: A User's Guide is the summer necessity—packed with practical guidance, inspiring suggestions, useful resources, engaging history, nostalgic reminiscences, and the promise of a dream summer to come. Suzanne Brown proudly wears her flip-flops into fall, hoping to stretch the season out just a little longer. She has spent summer months cooking pancakes on the grill in Martha's Vineyard, water-skiing in the Adirondacks, and relaxing on the coast of South Carolina. When Brown's not digging for clams or daydreaming of summers gone by, she runs Suzanne Brown Design, a successful design and image consulting firm in Chappaqua, New York, where she lives with her husband.